Enough with the autostrada and highways. Today we're driving down to Lecce and want to go a scenic route. As we've mentioned we've been seeing a lot of industry and density so we're hoping to find a much more rural Puglia. We started out in the right direction - right out of the driveway. 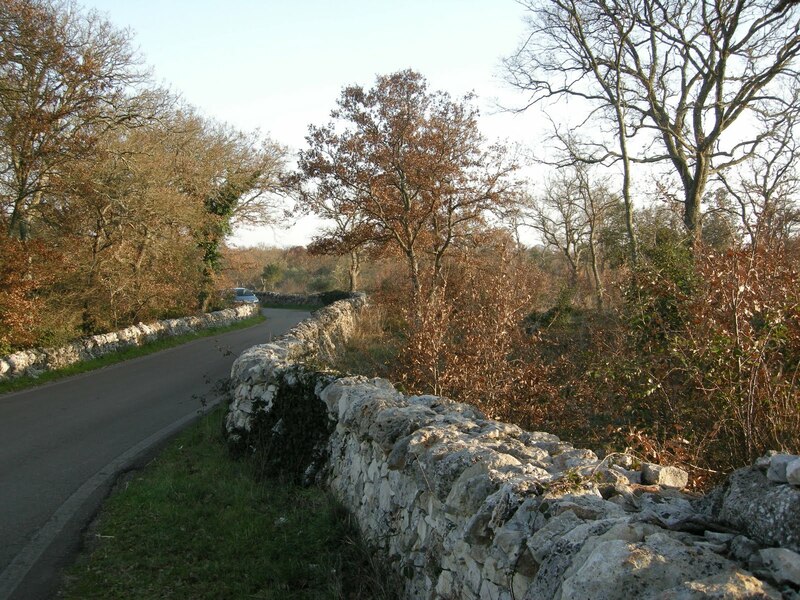 We turned away from the main road and headed off the map. We knew we were going in the right direction, so we just followed the road signs. Immediately we knew me had made the right decision. 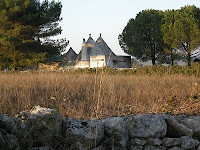 There were rolling hills, original Trulli, farmland, and lots of space. It was a l ong and leisurely drive through the countryside. This was the kind of Italy where we're at home. On towards Lecce we went, arriving just before lunchtime. 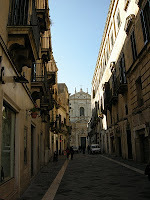 Lecce has been termed the Florence of the South. We're not sure we'd to that far, but it has a beautiful old town at it's center. After circling the main part of town we finally found an entrance into the old part of the city. 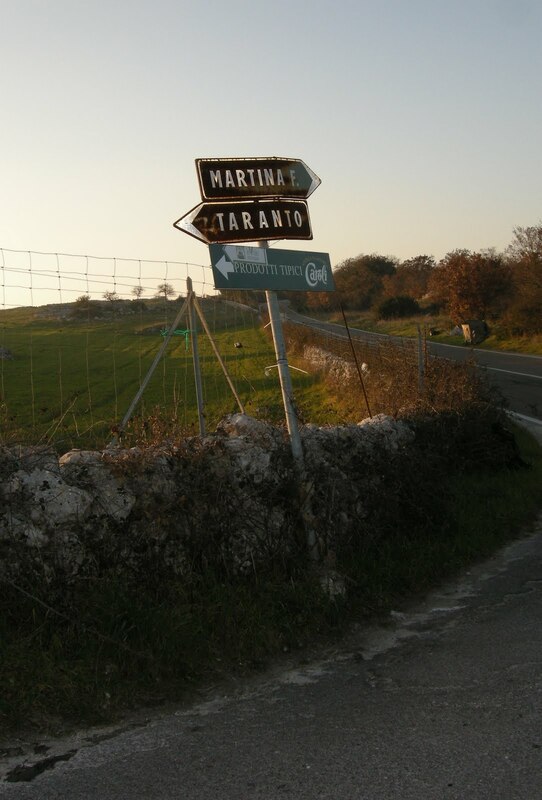 We've become unconcerned with Traffico Limitato signs. Look closely and they'll specify certain hours or limitations - not everyone, all the time. Do be concerned with parking limitations, though. In most (but not all) towns they will still ticket and tow. We just headed into the old part of the city and eventually found parking on an out-of-the-way street not far from the main pedestrian thoroughfare. We strolled along until we found a pleasant trattoria where we had a simple antipasto and a couple of plates of gnocchi - one with pomodoro and one with pesto. After lunch we continued our stroll back to the car. We decided to keep exploring the b ack roads so we headed again for the coast. This time we wanted to check out the coastal drive down to the very heel of the boot. Coastal Italy is almost empty in the off season. We drove along kilometer after kilometer without ever passing another car. Lovely coastal vistas, pine canopied roads, and flat rock outcroppings filled the afternoon. We realized we couldn't make it to the very end of the peninsula so we headed back inland and north to where we started. Keeping to our original plan, and sometime to heavy delays, we stayed on back roads all the way home. It was a fascinating drive and gave us lots of options for places to visit later on. We still had pizza we brought home from al Sagittario the night before. Reheating the pizza and a salad of fresh arugla made for a simple, but delicious, dinner.